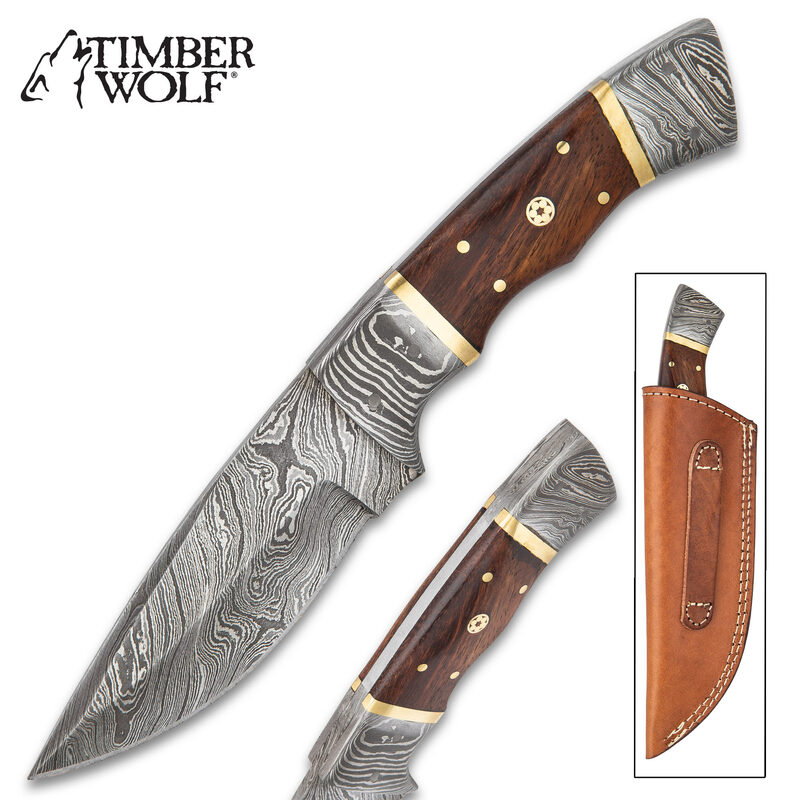 Timber Wolf Alpine Fixed Blade Knife With Sheath - Damascus Steel Blade, Wooden Handle, Brass Accents - Length 9” | BUDK.com - Knives & Swords At The Lowest Prices! Compact and tight, the Timber Wolf Alpine Fixed Blade Knife fits perfectly on your belt, offering you a capable tool right at hand when you need it. 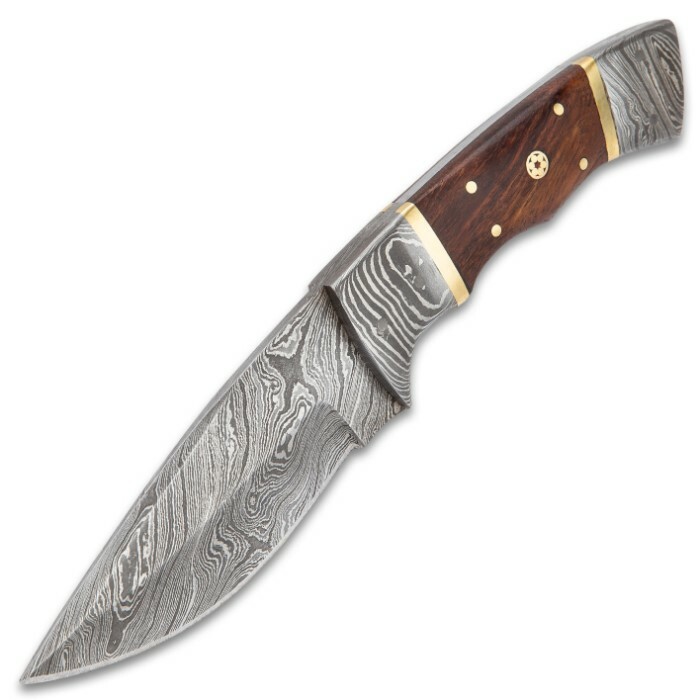 This is a full-bellied knife with a full-tang, razor-sharp, 4 1/4” Damascus steel blade, complemented by a Damascus steel pommel. 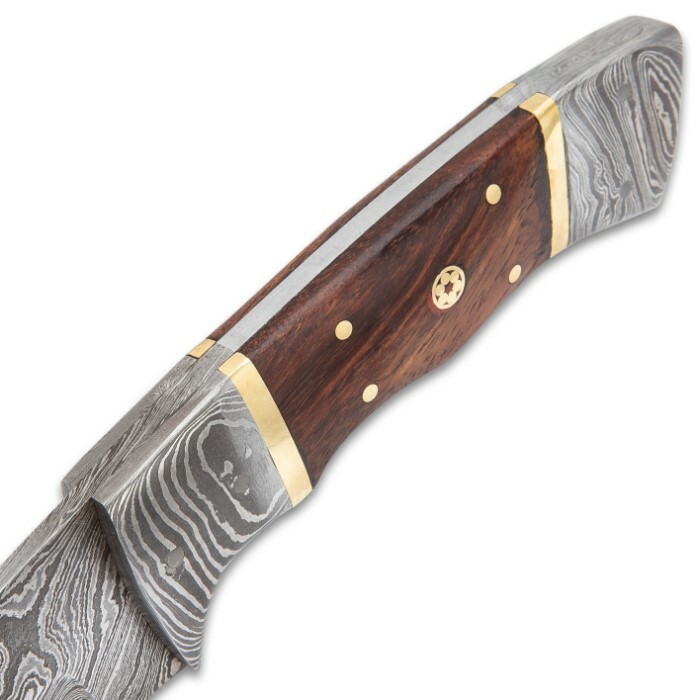 The dark wooden handle scales are secured to the tang with brass pins and features brass bands and brass rosettes. 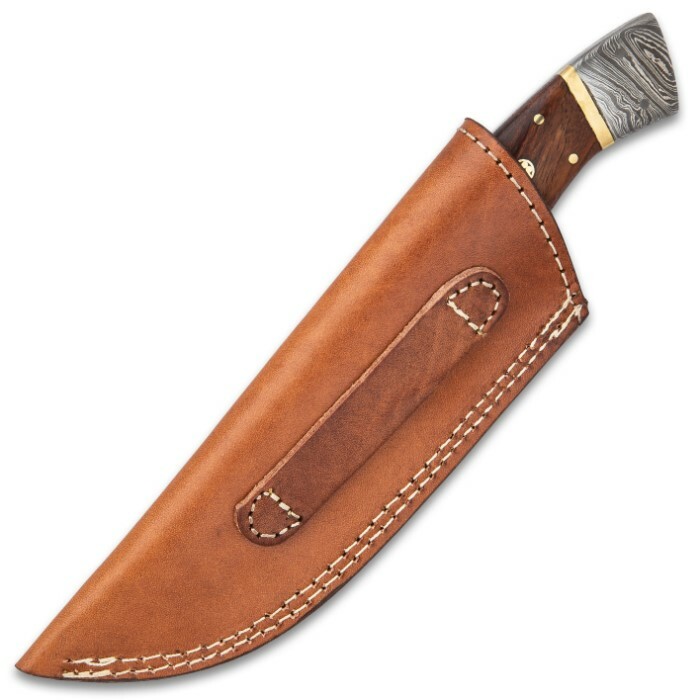 The 9” overall fixed blade knife slides securely into a premium brown leather belt sheath with white top-stitching. 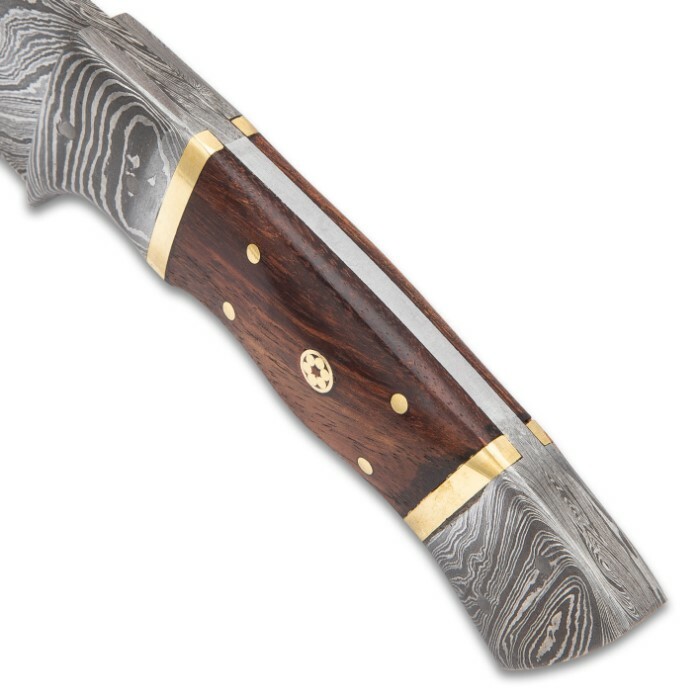 If you’re looking for a great all-around, everyday carry fixed blade, then you’ve found it!